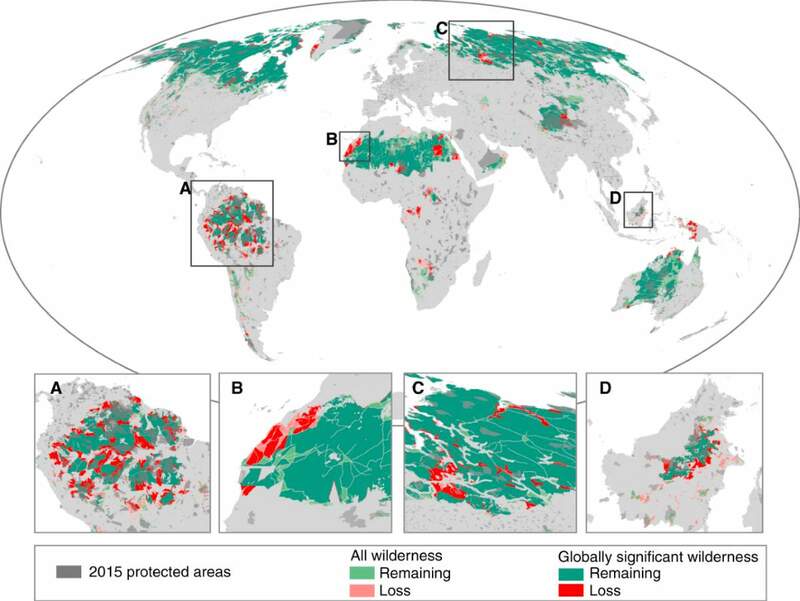 According to a new study published in Current Biology, today, only 30.1 million km2 (or 23.2% of terrestrial areas) of the world’s land area now remains as wilderness. Since the Early 1990s, we’re destroying the wildlife habitat at an alarming rate. An estimated 3.3 million km2 has been lost since the early 1990s (approximately a 9.6% loss in two decades), with the most loss occurring in South America (experiencing 29.6% loss) and Africa (experiencing 14% loss). For a long time, researchers thought that the Earth’s wilderness takes care of itself. The thinking went that wild places are still wild because they’re difficult places to people live in: like parts of Siberia, or the Sahara desert, for instance. But researchers now think that those areas should be actively protected, too, and we have to act urgently because we’re constantly losing wilderness at a dangerous pace. Today, only 20 nations control 94% of the world’s remaining wilderness, excluding Antarctica and the high seas. And within those 20, five nations -Russia, Canada, Australia, the US, and Brazil- control a whopping 70%. Humans have wiped out 60% of wildlife in less than 50 years, scientists say. According to a recent report published on the World Economic Forum website, the WWF’s (World Wide Fund for Nature) latest Living Planet Index revealed just how rapid and dramatic those shifts are, calculating that the population abundance of mammals, birds, reptiles, amphibians, and fish has decreased by more than half in less than 50 years. Pollution, global warming, and habitat loss are the major factors. 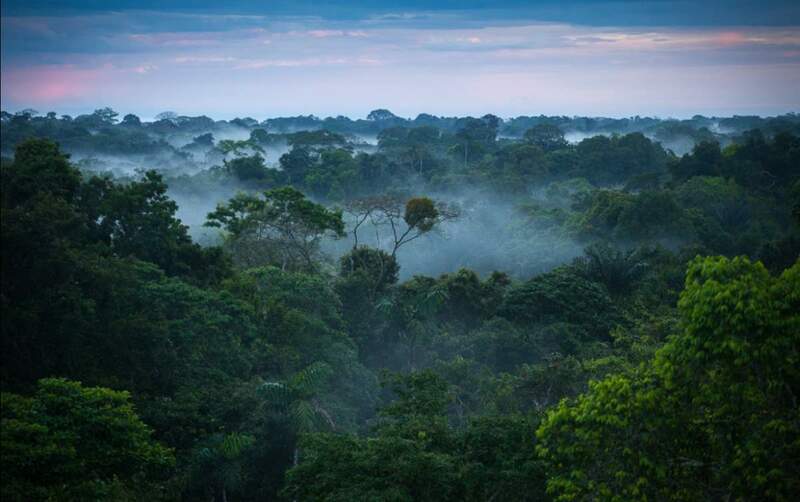 A fifth of the Amazon rainforest has disappeared. We’ve lost half of the world’s shallow water corals. Scientists tracked 4,000 species between 1970 and 2014 and found 89% of vertebrate animals in South and Central America have been wiped out. Mostly for deforestation to clear land for planting crops. Today, 90% of the seabirds are estimated to have fragments of plastic in their stomach. In the 1960s, it was 5%. Many scientists think humans have already triggered the sixth mass extinction. 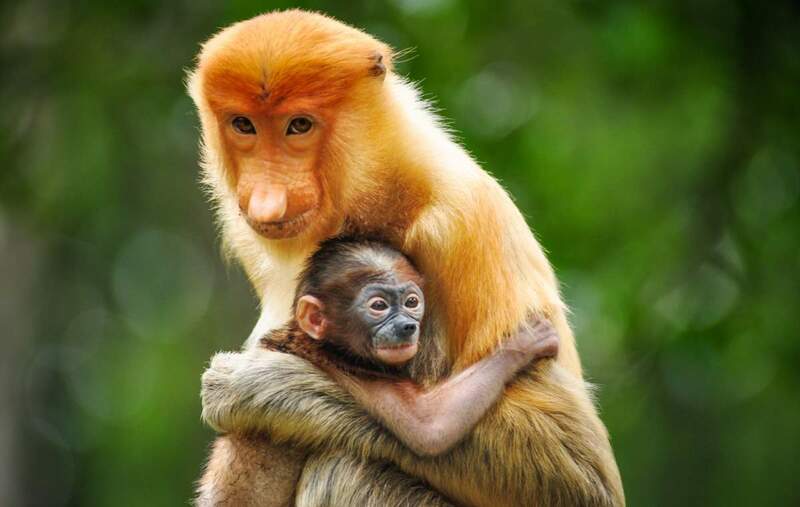 We have already destroyed 83% of all the mammals that have ever existed. And we are missing our chance to stop it. Even if we stopped poaching, polluting and destroying wild areas in the next 50 years, it would take 3 to 5 million years for Earth to return to how it is today. The report’s authors call for an international agreement to decrease the rate of the loss of the biodiversity. Why the wilderness is important? The wild areas support most of the world’s biodiversity. They are a haven for animals, fish, birds, and insects of all types, providing them with safe places to live, raise offspring, rest, and feed during migratory flights, as well as a way to traverse from one area to another along migration corridors. What’s more, wilderness protects watersheds that provide clean drinking water to surrounding communities. Wilderness also filters and cleans the air we breathe (that’s why the Amazon rainforest is dubbed as the “Lungs of the planet”). People also depend on wilderness for their favorite recreation opportunities, such as nature walking, wildlife watching, hiking, biking, canoeing, and camping. The term “biodiversity” was first used at the US National Research Council in 1985 while convening a forum to address concerns regarding biodiversity loss. Following the event, the philosopher Bryan Norton likened the Earth to a patient whose survival is dependent on a life-support machine. Hospital staff enter and announce that, in order to increase the hospital’s revenue, they will be selling a few components of the machine. “It’s got so many wires and screws, it can’t possibly need them all,” they blithely assure the patient. Would you take that gamble? Biodiversity underpins life as we know it. It is the very apparatus that holds us steady.